August is when Fukunaga is busiest. This season has come this year,too ! Peach season ! 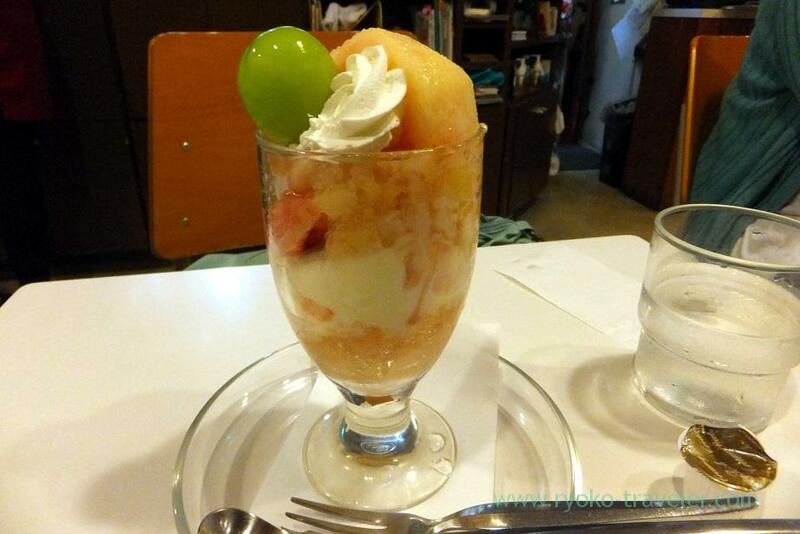 I went to Yotsuya-Sanchome only for peach parfait at Fukunaga Fruits Parlog after work. When I got to there, there were about 10 people waiting along the stairs. The building was so humid and hot. So, Fukunaga prepare cold tea by free of charge for people who are waiting. 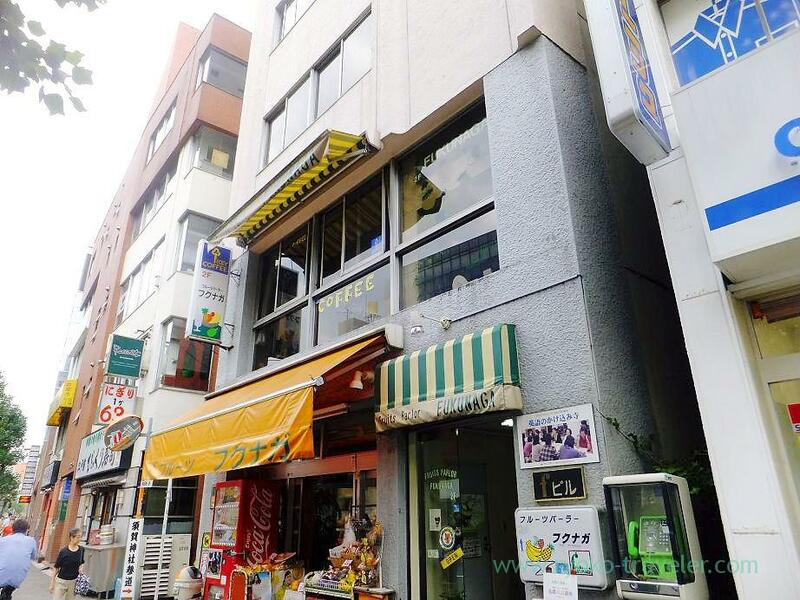 Fukunaga have the most visitors in August because August is summer holiday season and peach season. Peach is really loved by people. Me too ! I waited for 20 minutes or so. And then I could be seated. Unfortunately (or fortunately…), breads were not sold out yet. So, my delight fruits sandwich could be ordered yet. I knew, breads are often sold out soon. So, it was lucky. I thought so and ordered this. 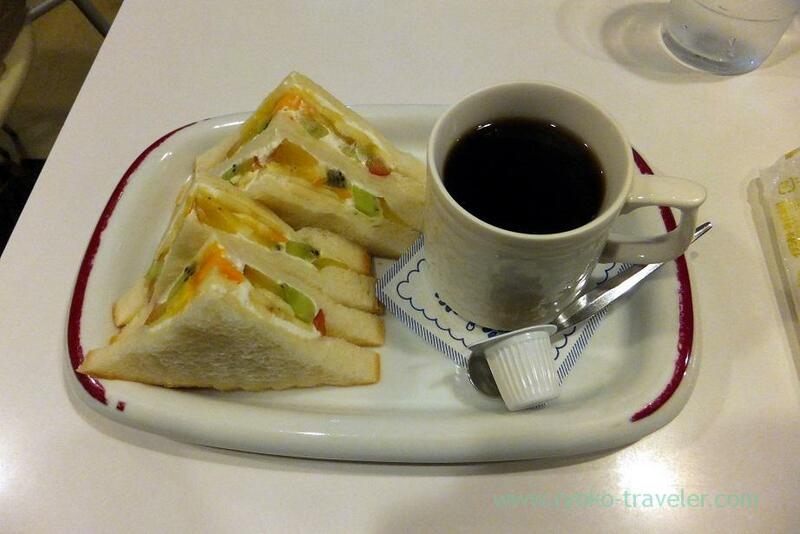 1/2 portion of Fruits Sandwich and coffee set (フルーツサンド１／２セット, 650 yen). 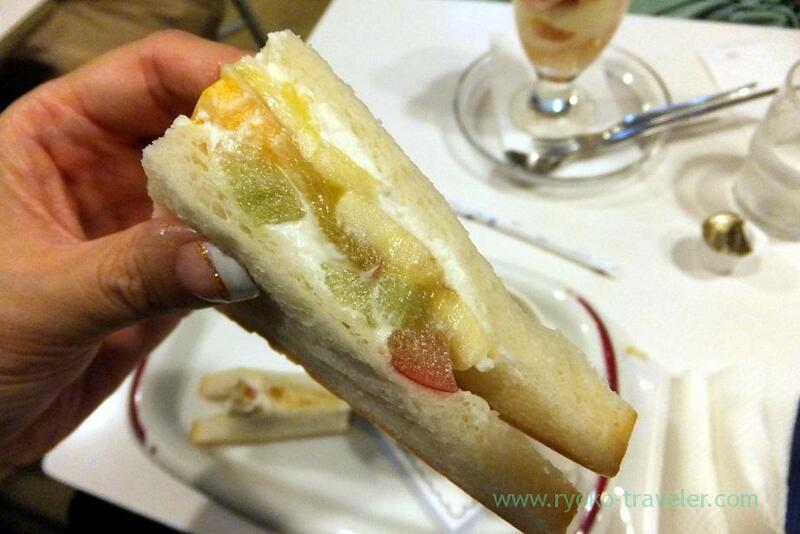 Fruits sandwich have seasonal fruits. But mostly it have bananas and kiwi fruits and pineapple. And that day have an apple ! Maybe this was the first time to have sandwich having apple at Fukunaga ! And whipped cream and bread were good as usual. 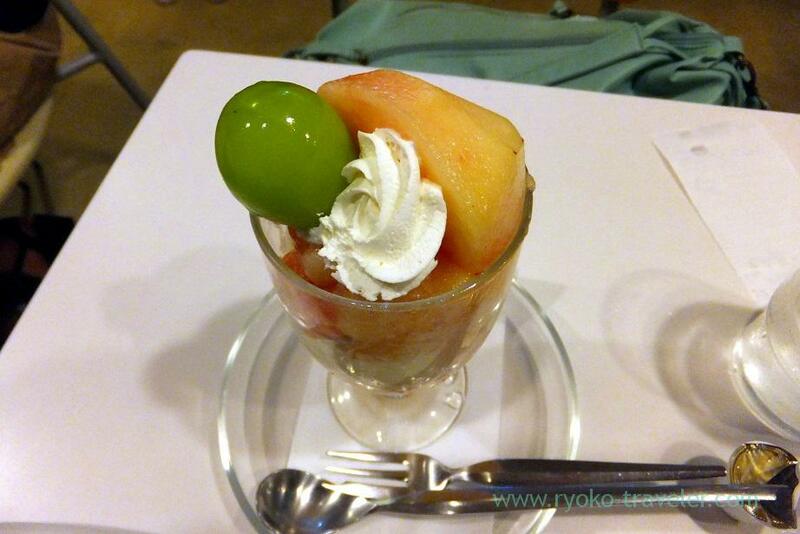 And of course, I ate Peach parfait (桃パフェ, 950 yen). The green thing is shine muscat. This shine muscat was great ! I’m looking forward to having grape and muscat parfait that will be served soon ! From the top. Peach is one of the most delight fruits. So, I cannot help eating it ! I’ll eat it in 2017, too ! Though I don’t like plum, plum parfait is on the menu now.